If you need to prepare a last minute cake for surprise guests, this is for you. 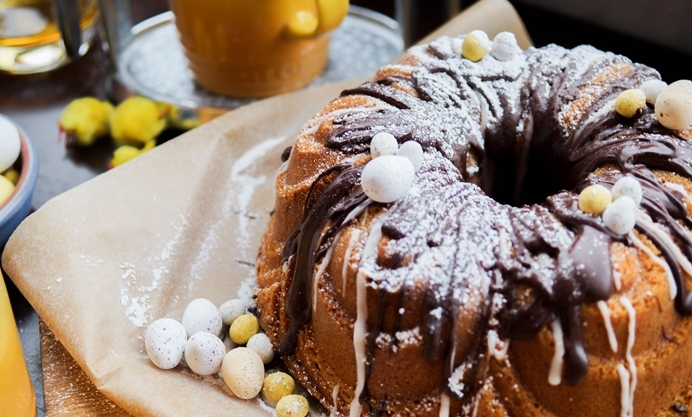 Miriam shares her impressive Easter cake recipe that doesn't even need to cool before decorating. I don’t know about you but Bank Holidays tend to creep up on me and before I know it I’ve got a long weekend to spend with my favourite people and absolutely nothing organised. This cake is great for a special occasion that has arrived (even if marked on the calendar in thick marker) as a bit of a surprise. 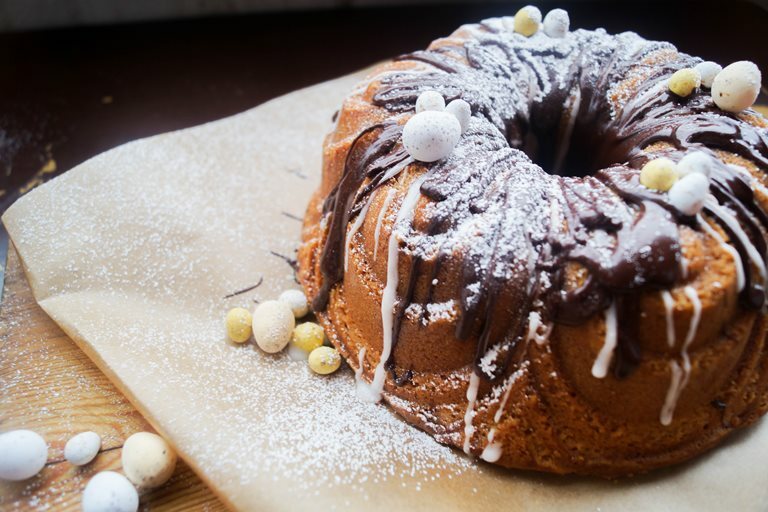 Most celebration cakes need to be left to cool before decorating because otherwise the butter cream will just slip miserably off onto the floor or soak into the sponge without trace – this cake is different, and is best served warm with a delicious gooey chocolate glaze and a lip smackingly sharp drizzle of lemon icing. There’s no waiting around just whisk, bake, drizzle and serve. Winning at elevenses! You do need a snazzy bundt tin for this but it’s worth it because it does all the decorating for you, and a set of cheapo electric hand beaters (or some kind of electric whisk) really does make this a total doddle.